When it comes to mathematics, girls rate their abilities markedly lower than boys, even when there is no observable difference between the two, according to Florida State University researchers. "The argument continues to be made that gender differences in the 'hard' sciences is all about ability," said Lara Perez-Felkner, assistant professor of higher education and sociology in the College of Education. "But when we hold mathematics ability test scores constant, effectively taking it out of the equation, we see boys still rate their ability higher, and girls rate their ability lower." 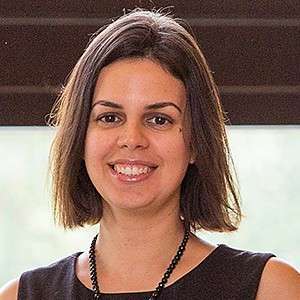 Perez-Felkner is the lead author of a study published today in the journal Frontiers in Psychology. Doctoral students Samantha Nix and Kirby Thomas are co-authors of the study. The research team found perception gaps are even wider at the upper levels of mathematics ability—among those students with the most talent and potential in these fields. Boys are significantly more confident in challenging mathematics contexts than otherwise identically talented girls. Specifically, boys rated their ability 27 percent higher than girls did. Perceived ability under challenge was measured using a nationally representative longitudinal study that followed 10th grade students over a six-year period until two years after high school. A series of questions in the 10th and 12th grade surveys asked students to indicate their level of agreement with statements such as "I'm certain I can understand the most difficult material presented in math texts." "That's important because those confidence levels influence the math and science courses students choose later in high school," Perez-Felkner said. "It influences whether they choose colleges that are strong in certain science majors. It also influences the majors they intend to pursue and the majors they actually declare and continue on with in degrees and potential careers." These conclusions address perceived ability beliefs in a critical time where more talented young women tend to depart from male-dominated science career pathways during high school and college. Over recent decades and across the globe women have surpassed men in college enrollment and degree attainment yet women remain underrepresented in physical, engineering, mathematics and computer sciences (PEMC). In fact, women are projected to comprise nearly 60 percent of university students by 2025 but earn a clear minority of PEMC undergraduate degrees. Perez-Felkner and colleagues argue gender differences in confidence in their mathematics ability in challenging contexts has considerable longer term consequences. Gender disparities in college major choice are associated with the gender pay gap as well as an insufficiently large and diverse labor pool of scientific talent in some of the highest-growing fields in our increasingly scientific global economy. The authors note boys are encouraged from a young age to pursue challenge—including the risk of failure—while girls tend to pursue perfection, judging themselves and being judged by more restrictive standards reinforced by media and society at large. In middle and high school, increased opportunities such as science camps like SciGirls, recruitment of girls to participate in upper level science courses or extracurricular activities, informal science learning experiences and increasing visibility and access to women scientists both fictional and real are other methods to sustain girls interest and engagement in so called "hard science" fields. Increasing access to advanced science coursework in high school and the early years of post-secondary school can improve chances of students—most notably girls—entering these fields. Women have a 4.7 percent chance of declaring PEMC majors compared to 14.9 percent of men. Girls in the 12th grade with most negative perceptions had a 1.8 percent chance of choosing a PEMC major, while girls with the most positive perceptions about their ability under challenge had a 5.6 percent chance of choosing a PEMC major. Boys had a 19.1 percent chance if their perceptions were positive and boys with negative perceptions had 6.7 chance of choosing a PEMC major. Boys are more likely than girls to hold a growth mindset, that is, the perception that mathematical ability can be developed through learning rather than being a fixed talent you are born with. Tenth grade mathematics ability under challenge was most influential in determining whether students stayed in the natural sciences when pursuing postsecondary education. Mathematics ability beliefs in the 12th grade were positively associated with switching into natural science majors, among students not initially intending to pursue them. Interest in the subject most probably colours the results in that having a greater interest results in a higher estimation than merely being able to answer questions, so the mental footprint of the ability+interest is bigger than ability alone. Desire to be good at a particular subject or activity will also skew subjective evaluation higher with avoidance, rejection or lack of desire skewing it lower. This is most probably generally true (for any activity you like verses those you don't like: over-estimating ability for those one likes verses those one doesn't like). As to whether females are more likely to like, enjoy, have confidence in or wish to be associated with math ability less than males needs to be evaluated empirically and controlled for in these kinds of comparisons (gender may be irrelevant when all the factors influencing subject evaluation of ability are controlled for). Societal expectation and general believed assumption may also skew subjective evaluations.